In this post Brad Farrell talks about the steps to tackle PMP practice questions. He talks about the significance of paid and free PMP practice exams. 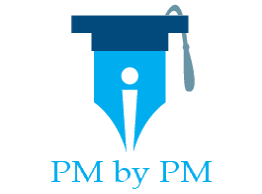 He has also has shared a few sources of free PMP mock tests and his first time scores in these tests. This post is in continuation from previous two posts wherein Brad has shared his experience about cracking the certification test. Brad Ferrell is part of the PMP prep Linked group that I moderate. He shared his PMP experience notes on the group. I requested him if I can share his notes with the blog readers. He kindly acceded to my request. I wish him good luck for the future. Here is Brad’s experience in his own words. Repeat, repeat, repeat. After taking several mock exams, the three knowledge areas where I was struggling the most were the Procurement Management, Integration Management, & Communications Management. Lots of the guidelines in the PMBOK are shared in the books above, but there is still an abundance of information here which will serve you well in your project management career. Since my demanding scheduling did not allow me to read multiple project manage text books, I decided to expand my knowledge of project management by finding any online exams available and make notes of topics not covered in the PMBOK. There are many online exam options available, both for free and purchase. Fortunately you don’t have to search far for the free exams. But don’t look past the paid exams by any means. Most of these types of exams use simple analytics to pinpoint the process groups, knowledge areas, and specific processes you are scoring proficiently and those that need improvement. So when I started researching exam resources, as anyone would do, I started with a google search to see what free resources are out there. One of the sites that drew my attention was www.edward-designer.com, which not only gives you a list of sites for free exams, but also a list of study tips, free resources, and study notes. I would certainly take advantage of this site. Edward Chung is a bright educator, as well as a working professional whom I refer back to his site from time to time for review. For those who are on the go and have 5, 10, 15 minutes to spare at a time, an app you can download on your mobile device is PMPro which includes all earned value analysis formulas, dictionary, flash cards, all ITTO processes, as well as free PMP practice exams. There are a few free 50 question exams which are given, but the full 200 question exam costs $9.99 USD. In my opinion, the 200 question exam was much tougher than the 50 question quizzes. Some of the perks of using this app were the explanations for the correct answers were excellent and you can pause the exam at any point to resume at a later time. Another method for convenient studying is taking several screen shots on your mobile device of charts that needed more attention in preparation such as decision tree analysis and power/interest grid with stakeholders. I would save these in my lock screen and wall paper then review them constantly until they were memorized with ease. Then I would move on to other topics to focus on. Personally, I am into listening to podcasts, but unfortunately there are not a lot of options to choose from in the market. Many of the episodes in the Parallel Project Training podcasts are 5-10 minutes long and will give you a synopsis of PMP concepts. You will have to go through the episode feed to see which episodes are relevant to your studying. Another podcast worth checking out is Free Project Management Videos. These are in video format which simulates a classroom setting. The critical path overviews in these videos are excellent! The only downsides of these podcasts are the episode catalog is not directly related to PMP certification and the episodes are not updated on a frequent basis. Regardless, much of the PMP terminology has been unchanged going several years back. These notes gave me the necessary repetition to focus on the areas where I was under performing. As September 2017 rolled around, I had reviewed and re-reviewed my under performing areas several times through Scordo’s exam material. Still wasn’t performing good enough to earn my certification (my goal was to score 80%), but I was still remaining optimistic due to my glass is half full nature. In my mind many of mistakes were correctable and there was still time for me to focus on my under performing areas. As mentioned before, I went through my 5 step process as mentioned on page 4. At this point I wanted to go ahead and schedule my exam so I could target a date and manage my studying as needed. I came to a point where the continuous studying did become mundane as I was looking forward to putting the exam behind me, regardless of pass or fail. As Summer had ended and Fall was on the horizon, my confirmed exam date would be October 31th, 2017. Are you using free PMP practice exams for studying? Which sources are you referring to ? What were you initial scores? Did you buy any mock test simulator? Do you think it helped in your study? How To Read The PMBOK Guide?